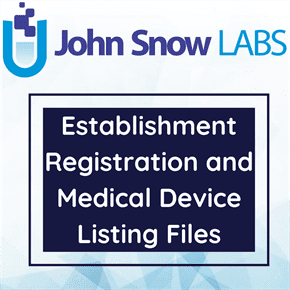 This dataset contains the Medical Device Establishment US Agent Information. Any foreign establishment engaged in the manufacture, preparation, propagation, compounding, or processing of a device imported into the United States must identify a United States agent (U.S. agent) for that establishment. Information about a foreign establishment’s U.S. agent is submitted electronically using the FDA Unified Registration and Listing System (FURLS) system and is part of the establishment registration process. Each foreign establishment may designate only one U.S. agent. The foreign establishment may also, but is not required to, designate its U.S. agent as its official correspondent. The foreign establishment should provide the name, address, telephone and fax numbers, and e-mail address of the U.S. agent.